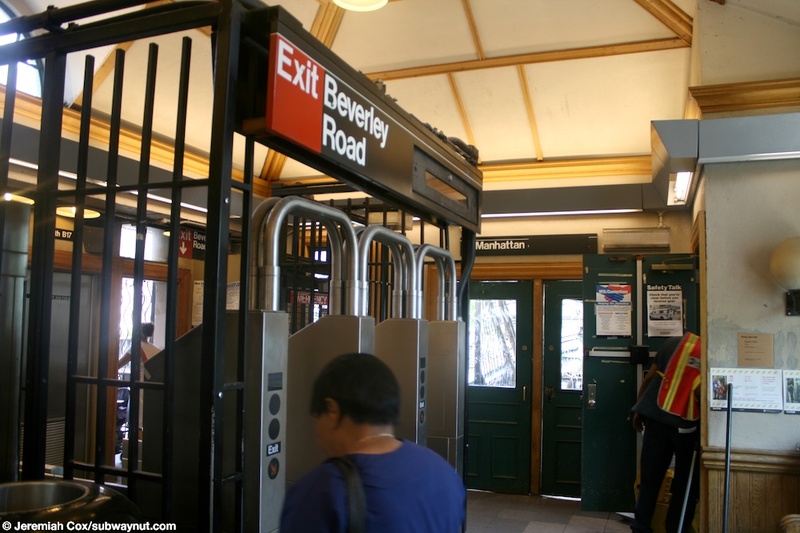 Beverley Road, or Beverly Road (the street seems to have two spellings, the 2,5 IRT Station spells it that way) (and its sister station Cortelyou Road) probably have the narrowest platforms on the entire subway system. 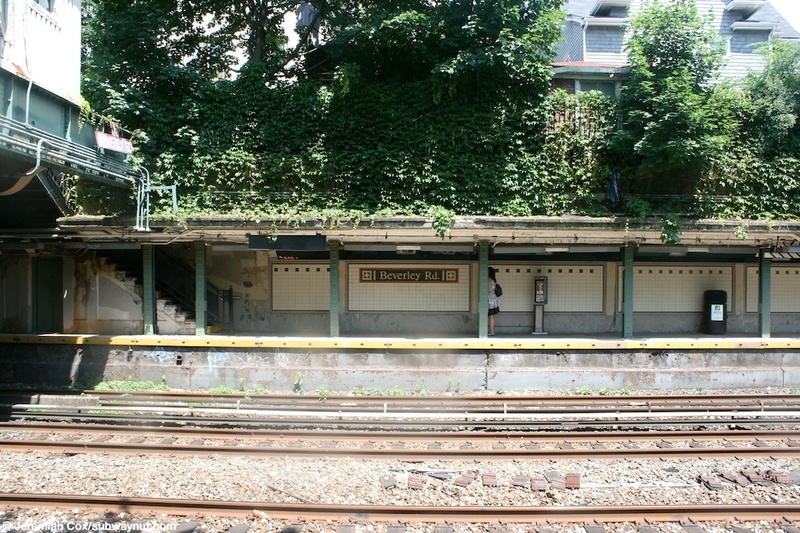 This station is located on the Brighton Line and is in an open-cut trench. 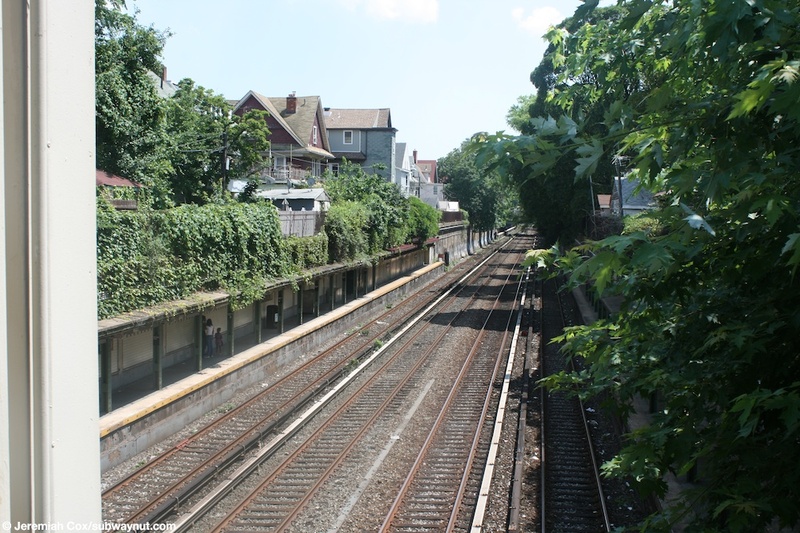 The station is so close to Cortelyou Road that a ten car train hasn't fully left one station before it begins to enter the other (the stops are only a long block apart). 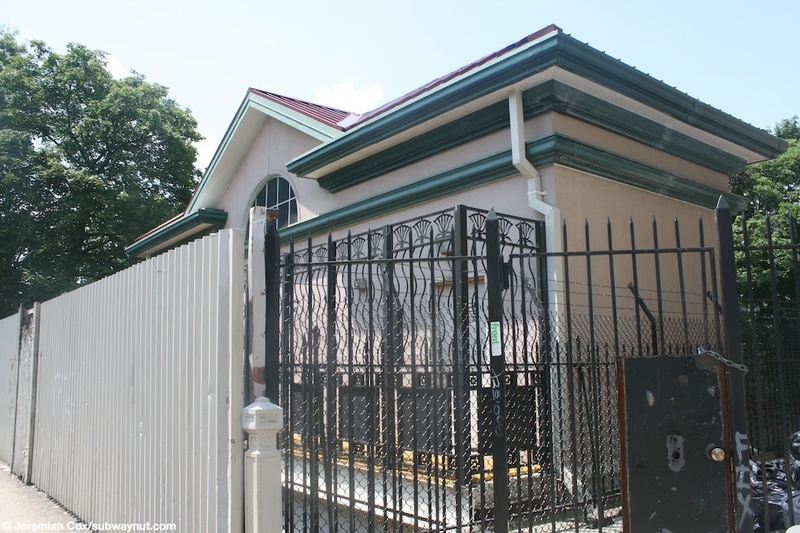 The station's single entrance is from an extremely small cramped, and old-fashioned seeming 'cottage feel' station house that is located on the southern side of Beverley Road between East 15 Street/Marlborough Road and East 16 Street/Buckingham Road. Across Beverley Road from this station house is another small building above the tracks was perhaps a second station house but has now been turned into some non-public area, although it looks like it was restored in the early 1990s when the rest of the station was. 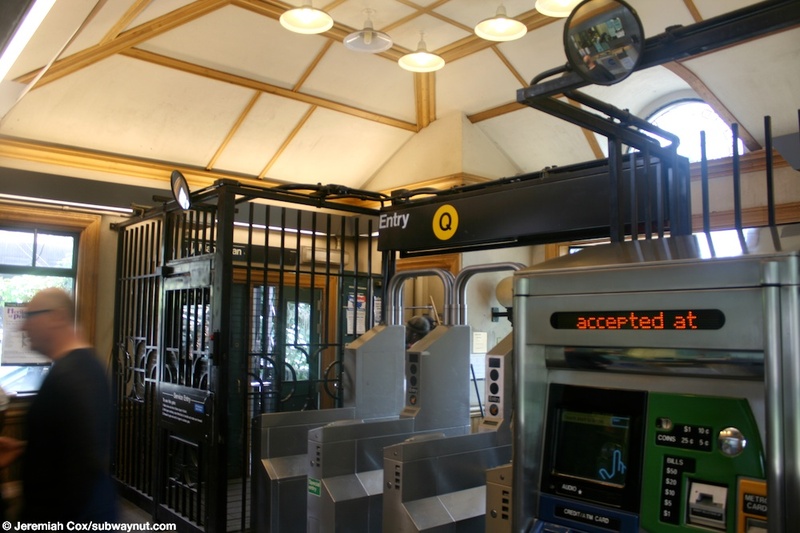 This station house has doors on either side of it that lead down to narrow staircases towards either platform that then split again, so there two narrow staircases down to each platform from the station house. Both platforms are extremely narrow; they are cut directly into the sides of the Brighton Lines open-cut. 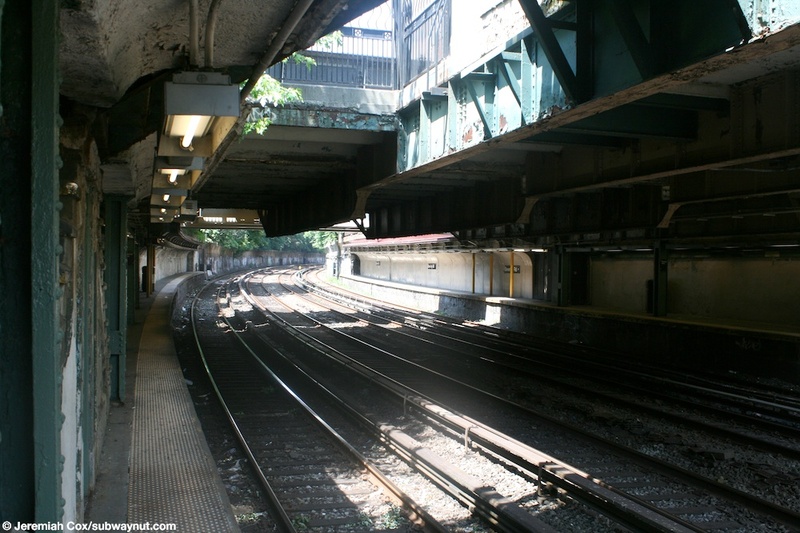 For the majority of each platform (and by the station's exits), a line of narrow green painted I-beam columns holds up the roof of the platform (that is carved into the trech), even so, here the platforms are only maybe four feet wide at most. 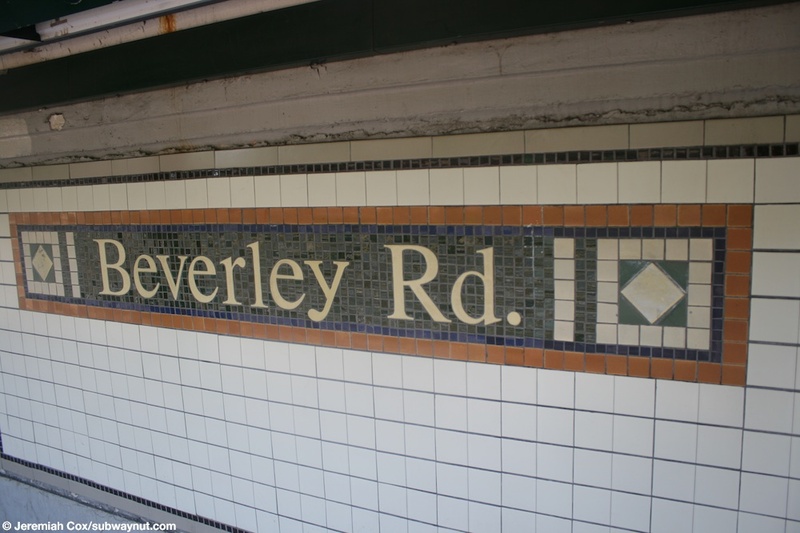 The walls of the platforms here are nicely tiled white with Beverly Rd name tablets, each of these name tablets has Beverly Rd tiled, a yellow cream color on a dark green background, there are tiled diamonds to eitherside of it and an orange boarder. 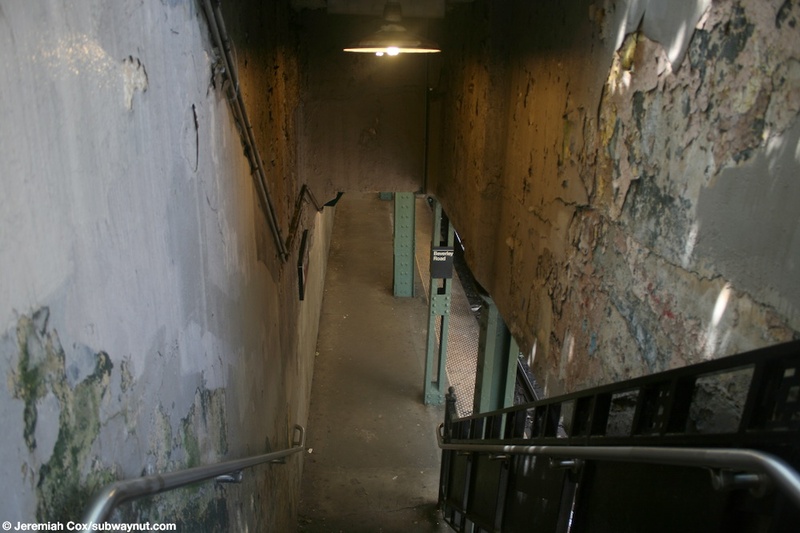 At the extreme ends of both platforms (they also get even narrower in their middles by the staircases up to the stations only exit), the platforms get even narrower (maybe two feet wide), with simple cream colored walls, also cut directly into the sides of the Brighton Line's trench. 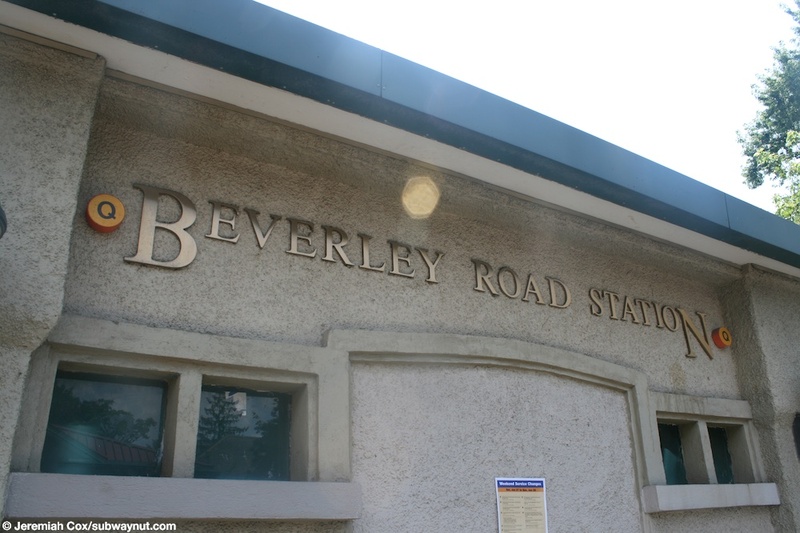 (beverleyq1) At street level, along Beverley Road is a small subway maintenance of way building located above the tracks. 29 June, 2009 (beverleyq2) Looking across Beverley Road at the small old fashioned looking station house located only above the express tracks. 29 June, 2009 (beverleyq3) Two subway entrance fixtures of an unusual design and the two doors into the small concrete station house at Beverley Road. 29 June, 2009 (beverleyq4) A close-up of unusual copper colored letters that spell out Beverley Road StatioN the streetside of the small headhouse, some yellow is still visible from when the D served the station between the yellow Q stickers that have been fixed over them. 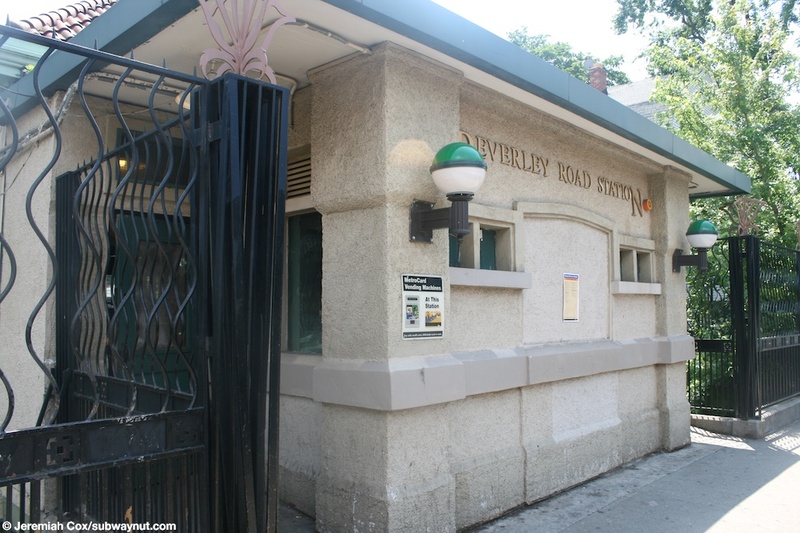 (beverleyq5) An interior shot at Beverley Road, the turnstiles look like they almost don't fit in the tiny headhouse. 29 June, 2009 (beverleyq6) A close up of the Exit-Beverley Road sign above the turnstiles, the beeper that alerts passengers of incoming trains who are waiting on the single bench in the station house, has been incorporated into this sign because there's no other place to put it. 29 June, 2009 (beverleyq7) Looking down the four Brighton Line tracks from a walkway-bridge that leads to a staircase down to the tracks at Beverley Road. 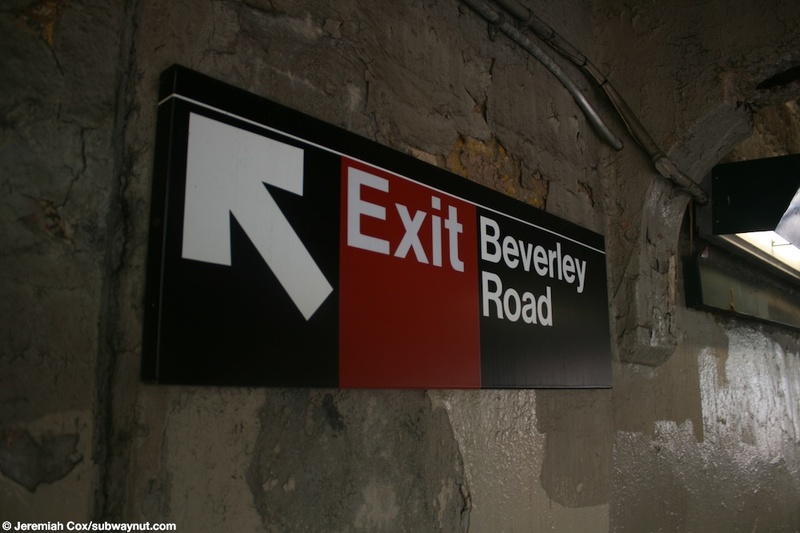 (beverleyq9) A generic Beverley Road (its the station's only one) exit sign. 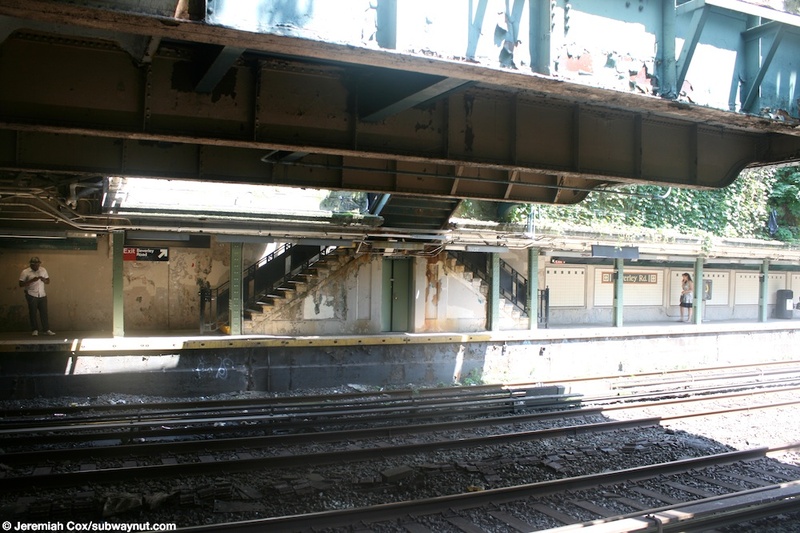 29 June, 2009 (beverleyq10) Looking across, to the Manhattan-bound platform and the staircase layout that exists, also notice how their no supports between any of the tracks. 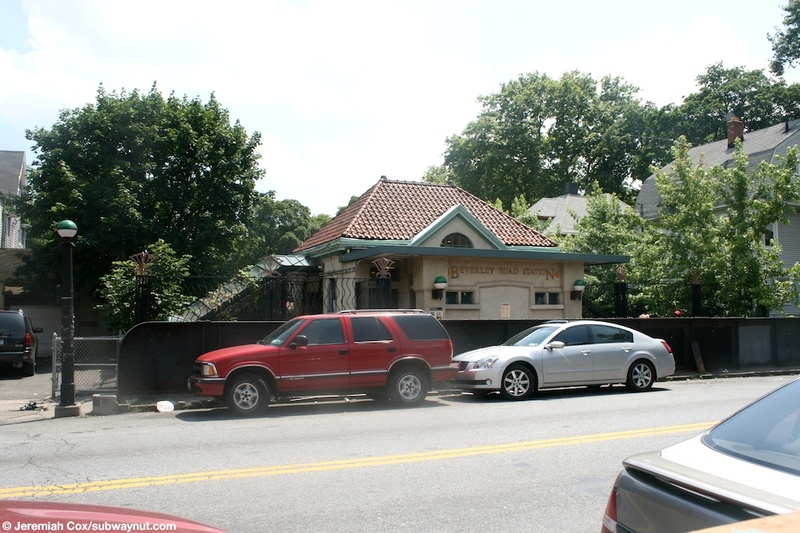 The small station house is cantilevered off of Beverley Road's Bridge. 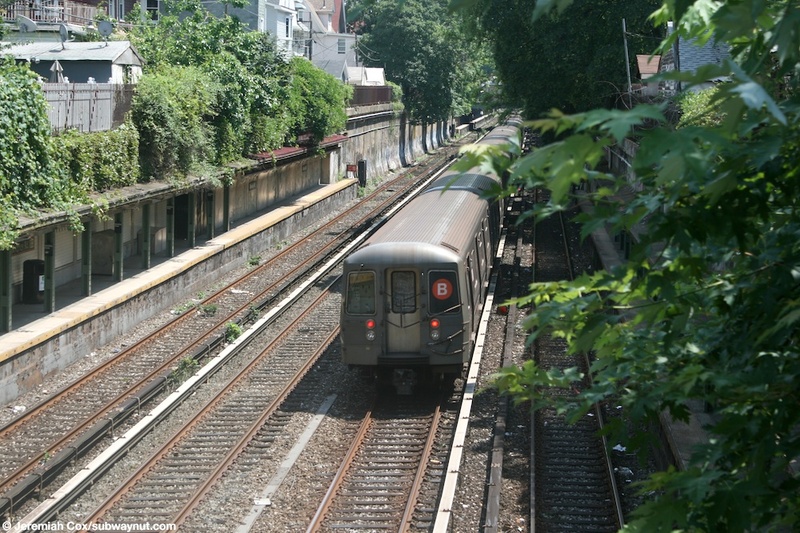 29 June, 2009 (beverleyq11) A up-high view of a Brighton-bound B Express train that has bypassed Beverley Road, also notice how close the next station stop, Cortelyou Road is. 29 June, 2009 (beverleyq12) Looking beneath Beverley Road's bridge at Beverley Road, it's only supports are along the platforms. Most importantly notice how narrow the platform gets (about a foot wide, just wide enough to fit the tactile warning strip). 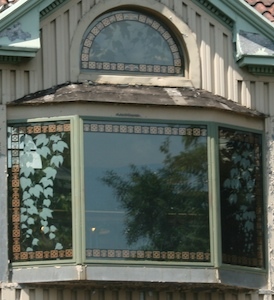 Where the staircases lead down to it. 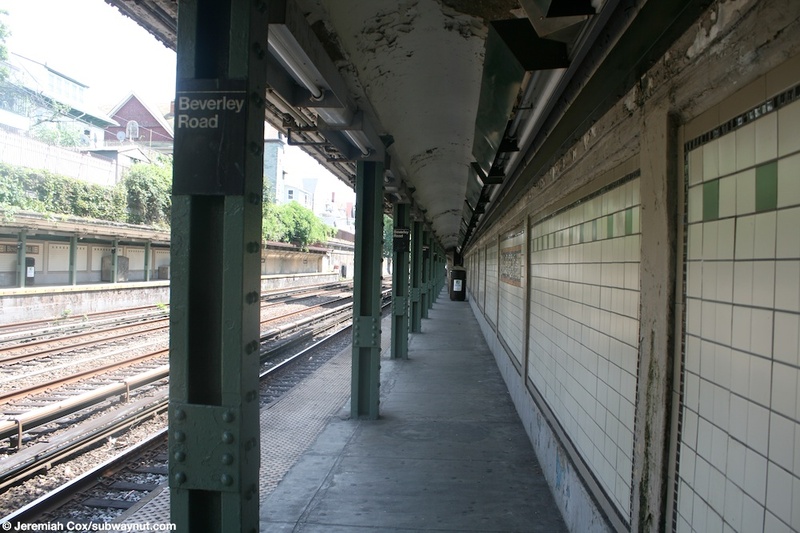 (beverleyq13) A view across to the nicely tiled walls and pillars of the Manhattan-bound platform at Beverley Road. 29 June, 2009 (beverleyq14) Looking down the very narrow and nicely tiled Brighton Line platform at Beverley Road. 29 June, 2009 (beverleyq15) A tiled Beverley Road name tablet. 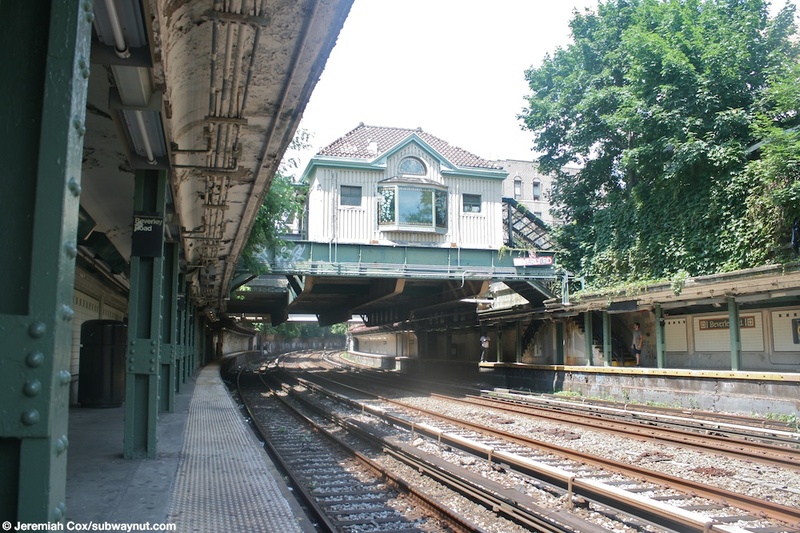 29 June, 2009 (beverleyq16) Looking up at the small station house at Beverley Road, notice how its simply bridged across the tracks with no additional supports between the four tracks keeping it elevated.